This protocol for rehabilitation after knee microfracture surgery is designed to provide the rehabilitation professional with a general guideline for patient care with the AlterG Anti-Gravity Treadmill. As such, it should be stressed that this is only a protocol and should not be a substitute for professional clinical decision-making regarding a patient’s progression. And it should be further noted that progression should be individualized based upon each patient’s specific needs, surgical variables, pain level, the specific surgeon’s guidelines, physical examination, progress, and presence of any complications. Ambulation on the AlterG Anti-Gravity Treadmill may begin as soon as the patient can begin 25% weight bearing. As the patient progresses to 50% WB, they may begin to increase the speed of the treadmill to a comfortable level of ~3.0-3.5 MPH with no incline. As the patient progresses to 75% WB, they may begin to increase the speed of the treadmill to a comfortable level of ~3.5-4.0 MPH with no incline. 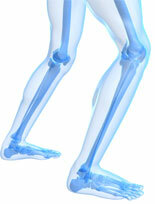 Continue to monitor the patient for pain relief and proper gait mechanics. Modify AlterG Anti-Gravity Treadmill body weight support in order to minimize pain and maintain normal gait mechanics. Unilateral step-ups progressing from 2? to 8? Monitor the patient for maintenance of normal mechanics during jogging. The body weight support can be increased or the treadmill speed can be decreased if the patient exhibits abnormal running mechanics. The therapist should correct gait abnormalities by observation and verbal cues.